Kaihua Box Heavy Dark Yellow switches have a heavier spring than Box Reds. Slider scratchiness, which is slightly greater than or equal to pre-retooling MX Reds and Blacks, is present. Reduced contact noise (rasping) and minimal contact tactility make the switch competitive. 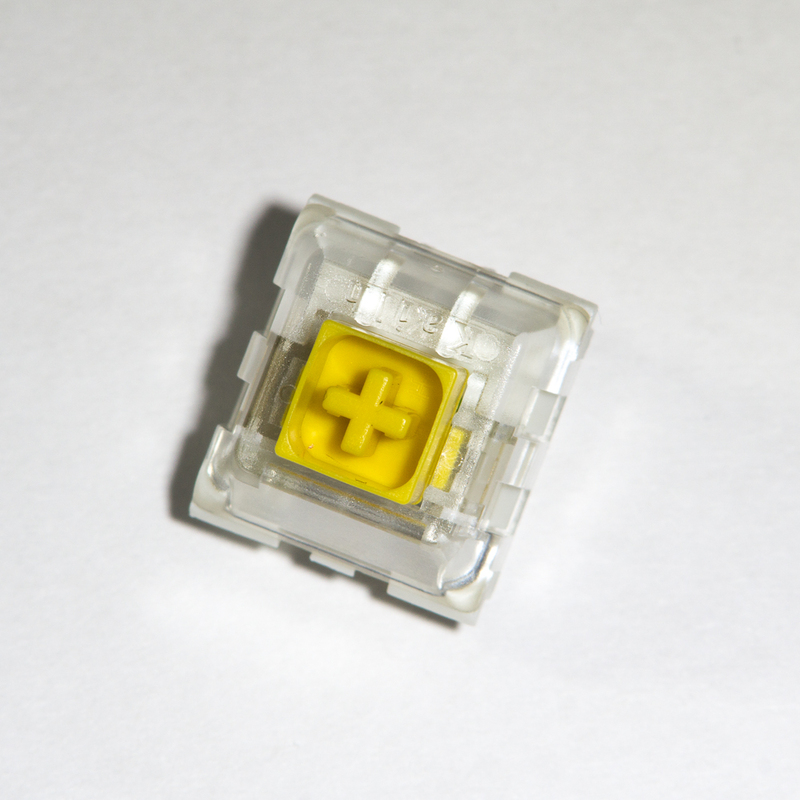 Spring harmonic noise is also reduced relative to Cherry MX based switches. Box Heavy Dark Yellows implement all general switch improvements from their series. Per switch drainage, isolated contacts, and reduced stem wobble contribute to a solid platform.